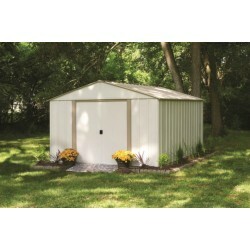 The Arrow Woodridge 6' x 5' storage shed offers 167 cubic feet of storage at an outstanding value. Made of electro-galvanized steel for resistance to UV rays, heat, insects and rot, the Woodridge line is an attractive and functional addition to your home. 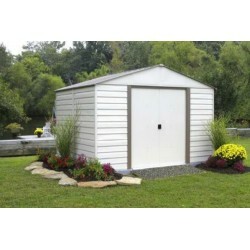 The Arrow Woodridge 6' x 5' storage shed offers 167 cubic feet of storage at an outstanding value. 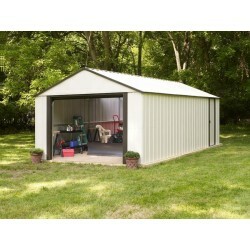 Made of electro-galvanized steel for resistance to UV rays, heat, insects and rot, the Woodridge line is an attractive and functional addition to your home. 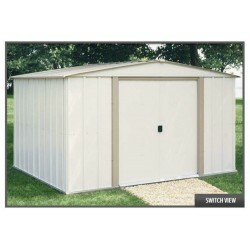 Featuring a unique wood grain print and horizontal panel design, this series provides the look you want with wood planks, but the durability of steel. 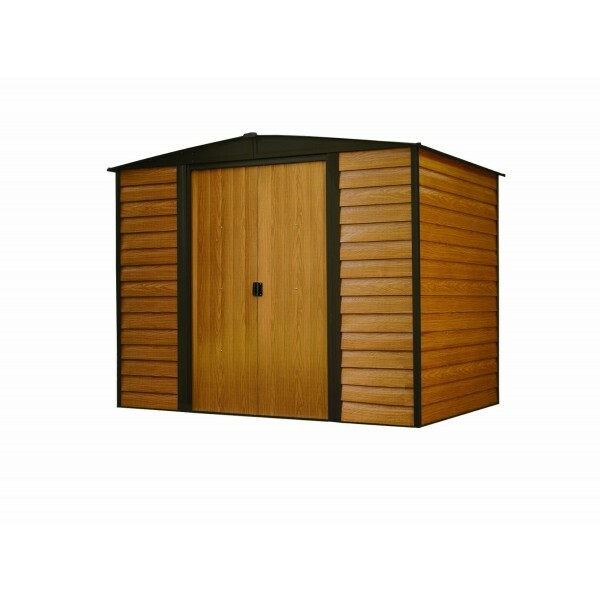 In addition, the Woodridge also features an extra tall six foot wall height which, combined with the gable roof design, provides additional head room and overall storage capacity. 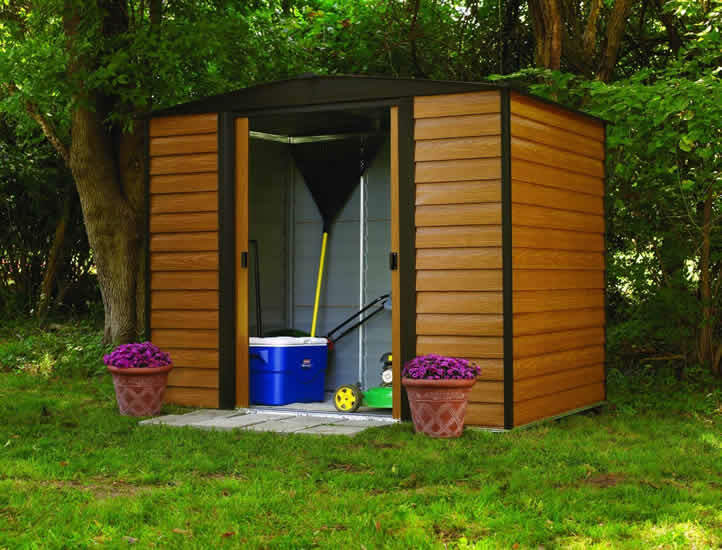 With a 31" wide door opening, even the smaller 6'x5' Woodridge has plenty of room for most push mowers and other lawn equipment. 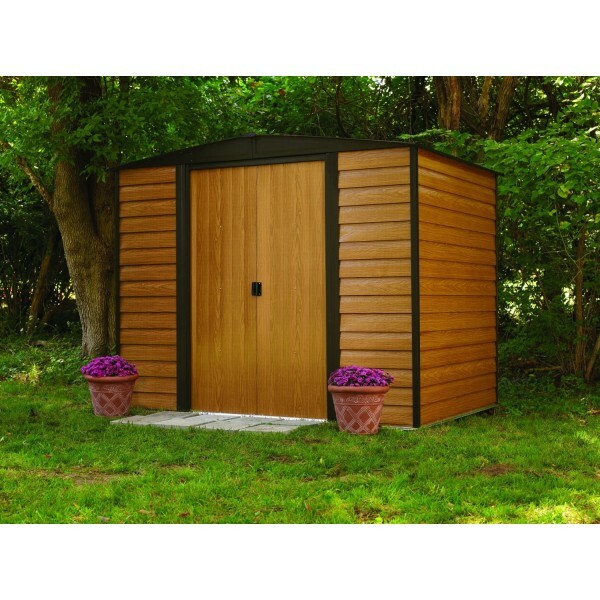 With predrilled and clearly marked parts, Arrow sheds are designed to be built by DIYers as a weekend project, saving hundreds on professional installation. 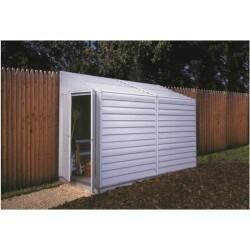 Backed by our 12 year warranty, this building offers secure storage for years to come. 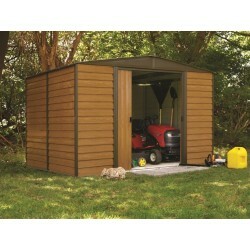 Warranty: 12 Year Limited Warranty! 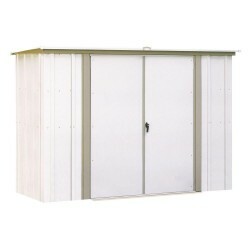 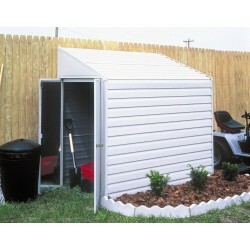 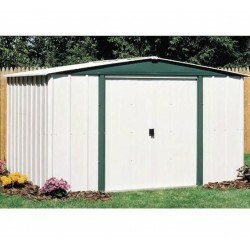 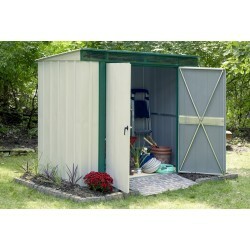 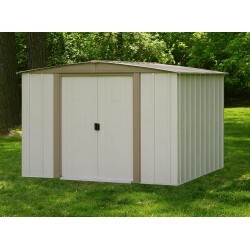 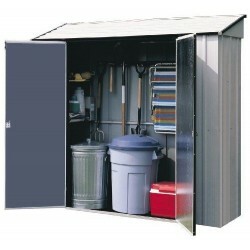 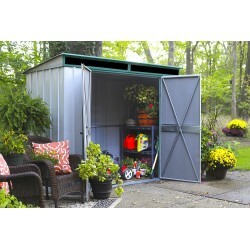 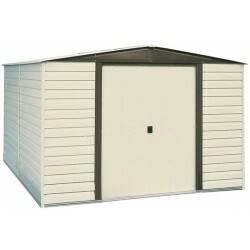 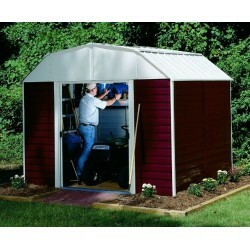 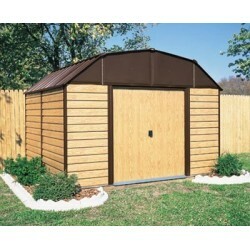 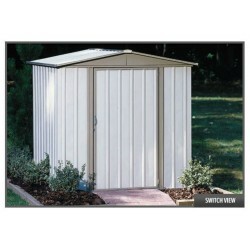 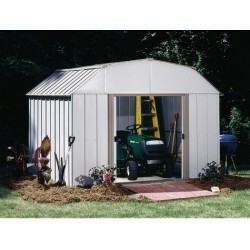 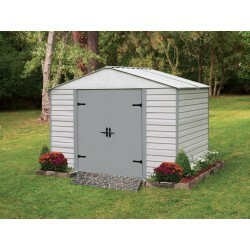 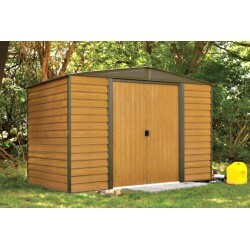 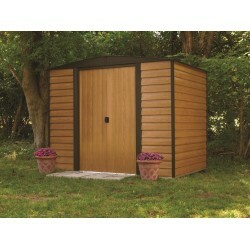 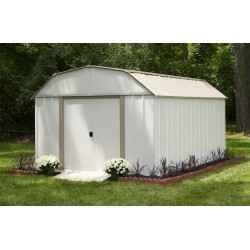 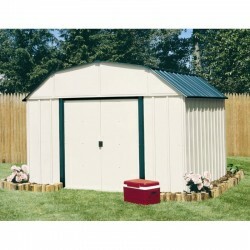 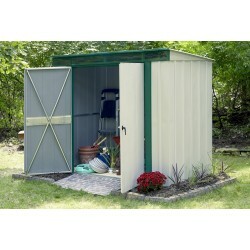 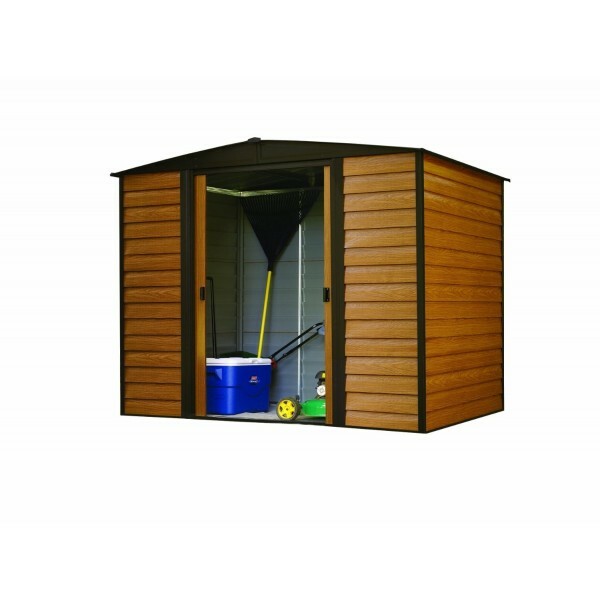 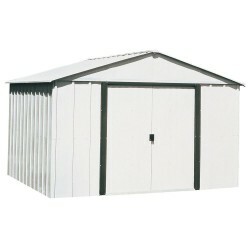 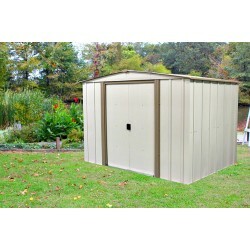 The 8'x3' Garden Shed from Arrow is a great multi-purpose storage solution.FREE Fast Shipping!